A new exhibition and series of events will celebrate our city's contributions to sport. Played in London, at The Gallery in Farringdon, looks at the unique contributions the capital has made to the fields of lobbing, thwacking, out-pacing, out-passing and other sporty pursuits. With three Olympic Games, Wimbledon, Wembley, Lords, Twickenham and a bulging kit bag of other important venues, London surely tops the international podium of sporting heritage. Played in London brings this legacy to the fore, with an exhibition of sports photography, backed up with five tempting talks. 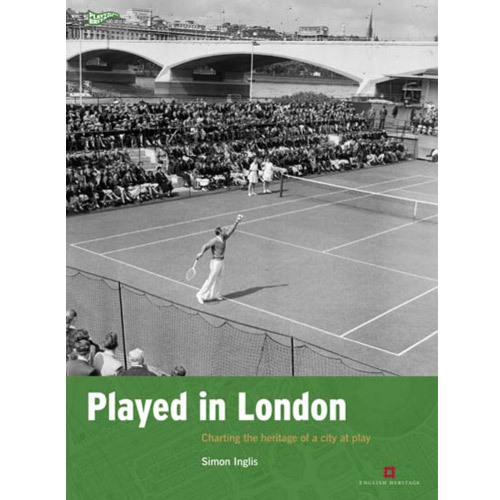 3 May: Simon Inglis discusses the history of sport in London from the Roman amphitheatre of Londinium to the 2012 stadia. 10 May: Martin Polley and Simon Inglis discuss Britain's Olympic heritage which, by some interpretations, can be traced back to 1612. The talk also looks at the inaugural games of the Olympic Association in London, 1866. 17 May: Simon Inglis returns to chat about London's Olympic stadia of 1908, 1948 and 2012. He's joined by Rob Sheard from the firm who designed the current stadium. 24 May: A talk entitled The Pools Of London looks at the swimming and diving facilities from London's three Olympics. Simon Inglis interviews pool designer Keith Ashton and historian Ian Gordon. 31 May: Attention turns to pub games, with speakers Arthur Taylor and Patrick Chaplin discussing darts, skittles and other London pub inventions. The exhibition and events anticipate the publication of the book Played in London, which will be published as part of the Played in Britain series from English Heritage in November 2012. The five events all start at 7pm at The Gallery, 77 Cowcross Street, Farringdon. Tickets can be bought now for £8/£6, or on the night for £10/£8.